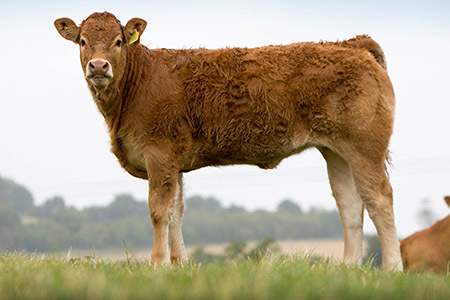 Bred by Dan Haak, the Uplands herd was among one of the best herds to be found in the UK to date. Within her pedigree, MMB Fanfaron can be found, who was again one of the first Limousins to be imported into the UK. 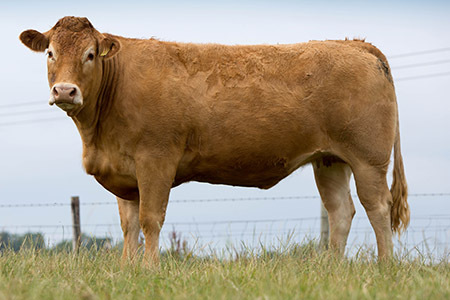 Grange Napiana – sold in the Grange on-farm sale in 2003 and exported to Northern Ireland as foundation stock for a newly formed Limousin herd. Napiana had an outstanding temperament (something in common with all Ocarina progeny) and consistently produced quality daughters. 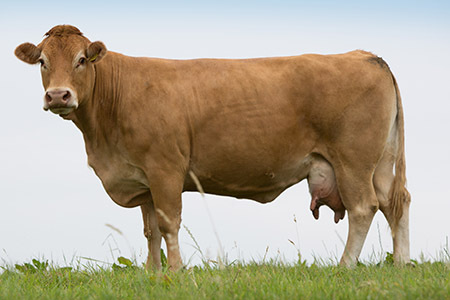 Grange Bouvardia – exported as a maiden heifer to The Azores (the only export to take place to date for Limousins to The Azores). Grange Seraphina – retained in the herd, she has conformation, breed characteristics, milking ability and a quiet temperament. She has produced a number of progeny who have inherited these traits and have been sold to both pedigree and commercial herds. 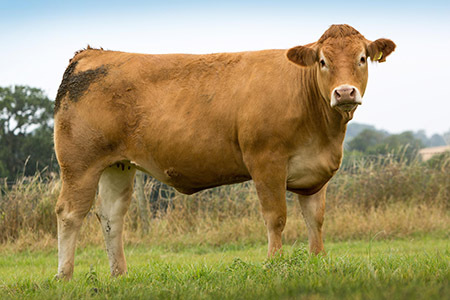 Grange Clematis – a Serge daughter (bred by GAEC Le Lann), which combines thickness and power from the sire with elegance and maternal characteristics from the mother, she has a great temperament, milking abilities and breed characteristics. Grange Treviso – one of the first Perit-B sons born in the UK. He had length, stretch and easy calving characteristics and was sold to a leading pedigree herd as service sire where he was used for a number of years with great success. 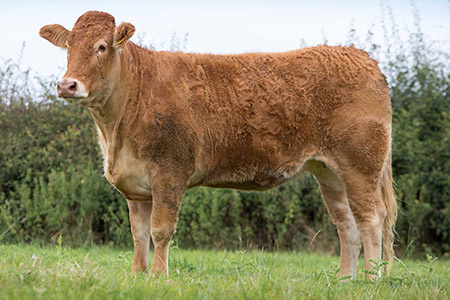 Grange Babiole – sold at the 2011 on-farm sale with an outstanding Dolmen son at foot, who has gone on to be used within the Rectory herd of Messrs Greaves. 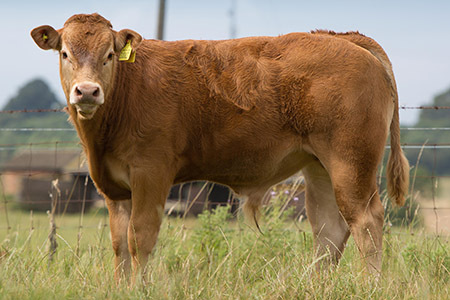 Grange Heptapleurum – retained and recently served by Honore, the latest bull to be purchased from Lanaud Station. 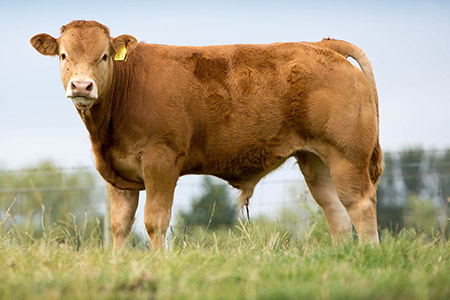 This heifer has length and growth, yet retains feminine qualities and breed characteristics.